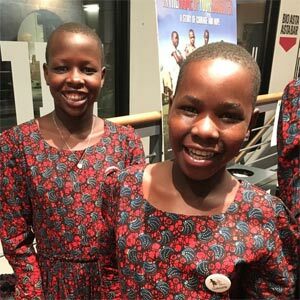 Julian Marcus, Tanzania Development Trustee and former Chairman, reports on the outstanding reception for the international première of In The Name of Your Daughter at CPH:DOX, the Copenhagen International Documentary Film Festival. Send TDT your old Paper Tenners! 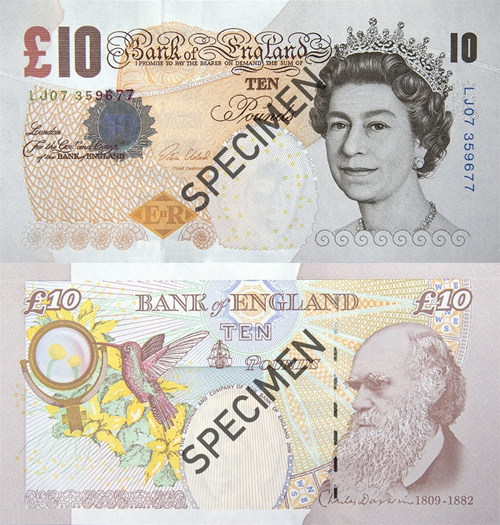 Do you still have any old tenners and wonder what to do with them? 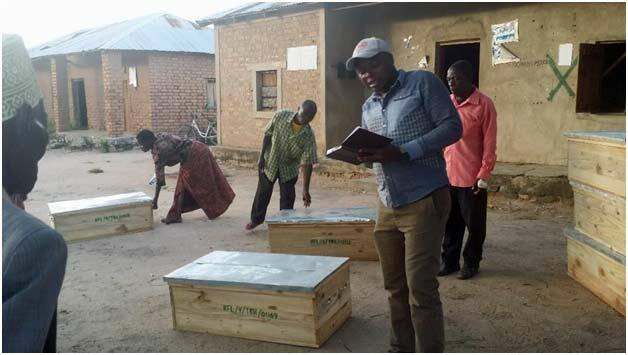 TDT would be delighted to take them on and ‘recycle’ them into projects within Tanzania. 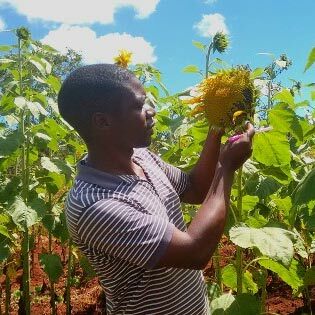 Congratulations to TDT’s local representative for Kigoma Rural, Benedicto Hosea. He will represent Kigoma Region in the National Youth Forum this week in Mwanza, advising on the National Youth Strategy. ‘In the Name of Your Daughter’, a documentary film about the work of Rhobi Samwelly and the Mugumu Safe House, will have its international première at CPH:DOX, the Copenhagen International Documentary Film Festival, in March. 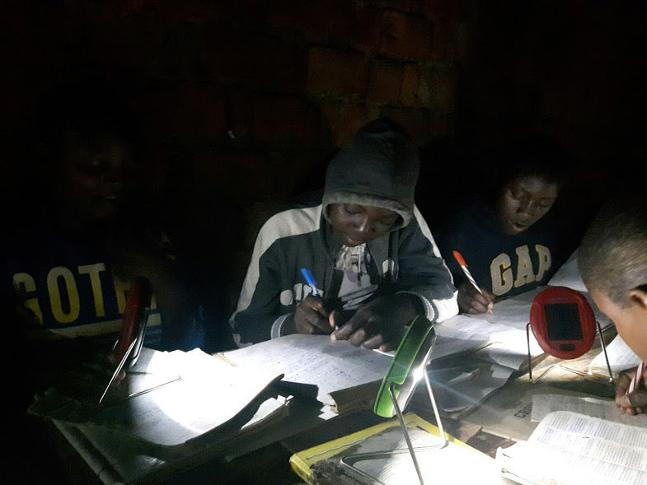 Once again this Christmas we have launched our ‘Gift of Light’ appeal. For only £6, you can help transform the lives of a student and his or her family. TDT has launched a Girls’ Rights Fund, to support work against Female Genital Mutilation, Gender Based Violence and forced early marriage. 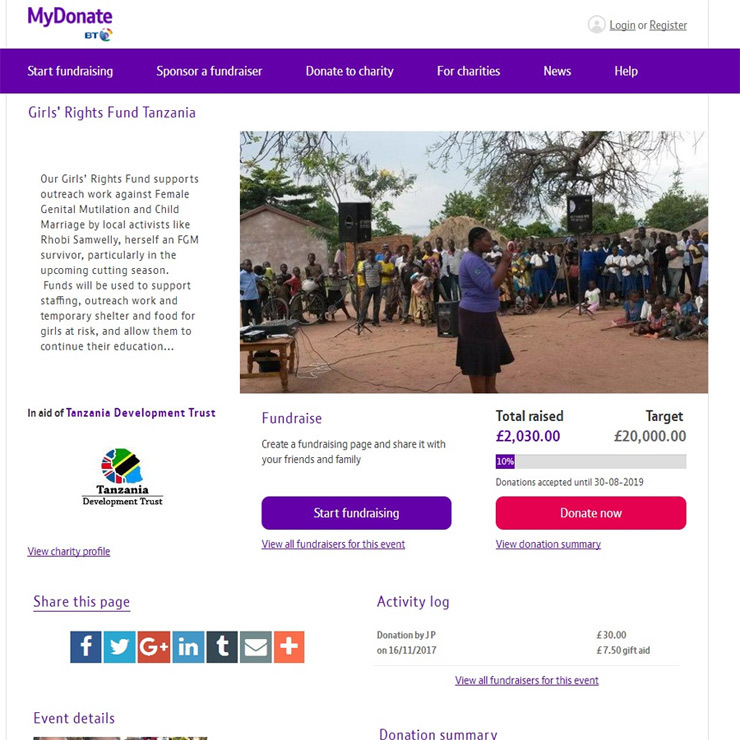 Our new dedicated MyDonate page gives a virtually costless means of donating. 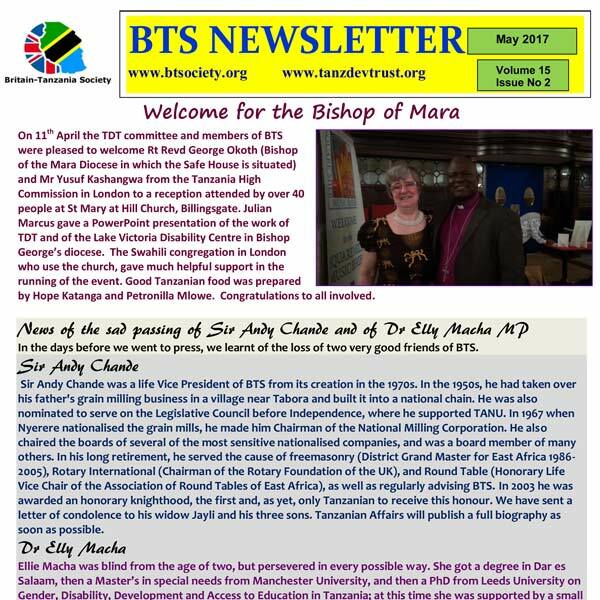 The May 2017 edition of the newsletter of Britain Tanzania Society, available now, is an exceptionally good read. There are many articles relating to the work of TDT, including a detailed account of Project Office Kevin Curley’s visit earlier in the year. 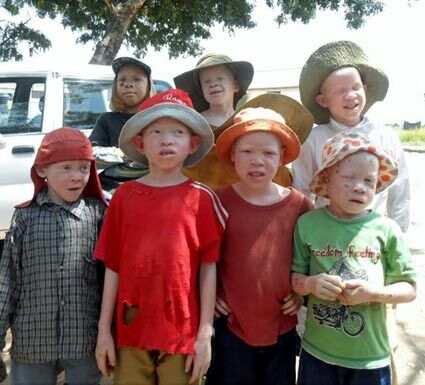 Regular TDT web writer Ashura Kayupayupa reports on attitudes towards albinos and albinism in Tanzania. And a report on a recent visit to the Special Needs section of Masasi Primary School.